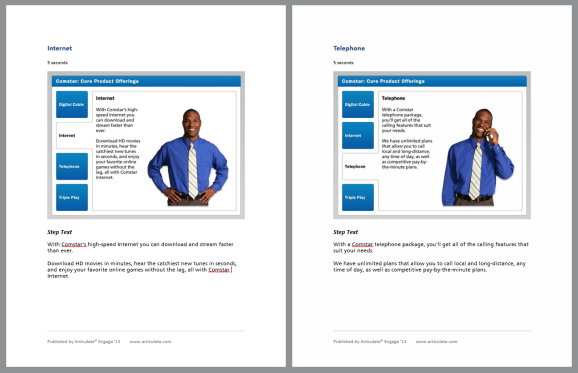 Publish your Articulate Engage interactions to Microsoft Word for others to review, translate, or print. It's easy! Check the text that appears in the Title field, and customize it if you'd like. This text defaults to the type of interaction you're building. If you change it, your new text will appear at the top of your Word document when you publish (but your actual file name won't change). In the Description field, enter optional, descriptive text about your interaction. This text won't appear in your Word document, but it's used in your published output if you later republish for a different format (Web, Articulate Online, or LMS). In the Folder field, indicate the place on your computer where you want Engage to create your published output. Click the ellipsis button (...) to browse to a specific location. When you publish, Engage will create a new folder in that spot that'll contain your Word document. When you're finished setting your options on the Publish window, click the Publish button. 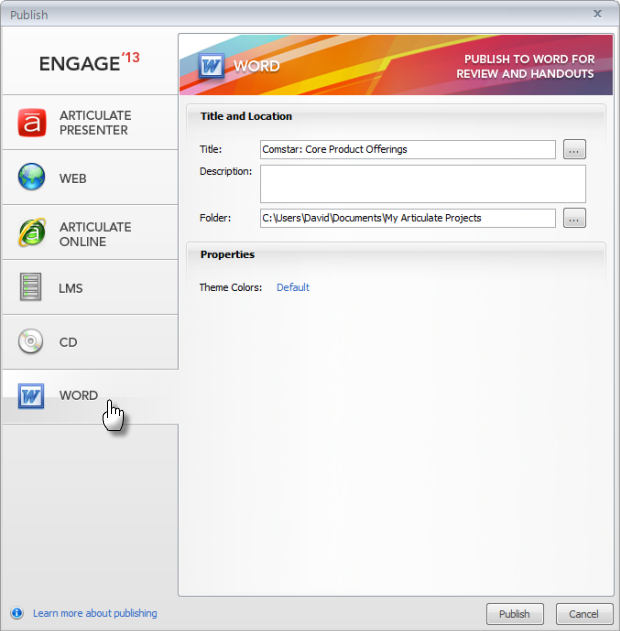 Engage creates your Word document in the folder you specified. 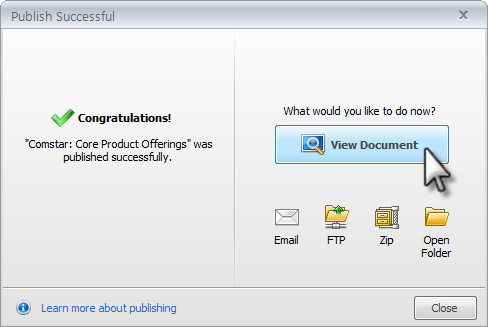 You'll see the following Publish Successful dialog. View Document: This opens your Word document in Microsoft Word, so you can view and edit it as needed. Email: This opens up a new email message with a zipped copy of your Word document attached. This makes it easy to share your content with a subject matter expert, reviewer, or translator. FTP: This opens a window where you can enter your FTP credentials and transfer your output to your website. Open Folder: This opens a file viewer where you can see the Word document that was just created. You can move, rename, or copy it.